Çalış Beach in winter always interests us because you get the odd business or two that seem much more lively in the daytime than they do in the busy summer season. Yeah, we know it’s the change in weather and all that but you just get used to seeing quiet day times. Then, all of a sudden, there’s lots of people. One place that that happens to is Calisto. We’ve been longtime customers of Pizza Calisto (as it used to be known) because they used to be just a takeaway business. And, over the last few years, we’ve had many a pizza delivered to our house from them. Can’t beat a pizza delivery when you’re in the mood, can you? We love the pizzas at Calisto because it’s a super thin base – just how we like our pizzas – and they do a more-than-tasty Mexican pizza that’s just perfect for our spice-craving taste buds. There’s three different sizes, too. Call us greedy and all but we usually get the biggest one. It’s big enough for four people but on the odd occasion we need to leave some, well, it’s there for the following day. Yeah, we like a cold pizza, too! No need to warm it up. Maybe that’s those habits from long-since-past student days that have never left us. At the beginning of summer 2014, Calisto moved from their small, main road takeaway location to a restaurant/bar location along the Çalış Beach stretch. 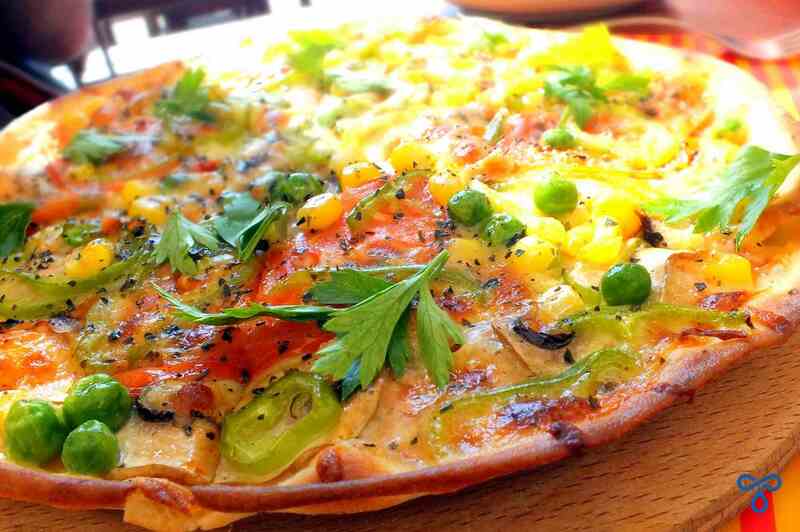 Over that winter, they started to establish themselves as a bar that serves snacks; pizza being the speciality one of these. Other dishes include pasta, wraps and the like. Simple foods that wash down well with a beer or two. If you walk past there these days, there’s usually at least one group of people sat enjoying a drink and a chat. At nights, they’ve had live music on sometimes, too. Much more than the pizza delivery service they used to be, then. That throwing-caution-to-the-wind, let’s-treat-ourselves-while-it’s sunny feeling. Yes, we really were a bit giddy to be able to get out of the house and enjoy the sunshine without fear of a deluge of icy cold rain catching us en route. But where to go? We have a favourite little kebab place, Çalış Kebabs And Dürüm on the main road in Çalış but we weren’t in the mood for a kebab. We toyed with the idea of eating at Mehtap Lokantası but it was bright and sunny and the beach and seaside views were calling. That ruled out food at Günışık, too. And we probably would have only ended up eating kebab there, anyway. So, that was that settled. Off we went for a sunny afternoon pizza and beer treat. We looked at the menu. This was a pointless activity but we did it anyway. A pointless activity because our eyes scan over the list of words without sending any messages to our brains until they see ‘Mexican Pizza.’ And then the message is locked. Of course that’s what we’re having. It’s what we always have. Well, bar the odd time when we feel a bit of a seafoody session calling. Even then, we ask for spicy toppings! On this occasion, though, as we walked all the way to Çalış and along the beach, we both knew there was never any question about what we would be ordering. Winter sun, vibrant blue skies, a gentle ripple on the sea, two cold beers and a spicy pizza in the centre of the table. Individual boards for each of us from which to eat each individual jalapeno-filled slice. 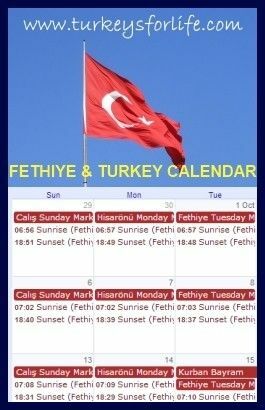 Most days in Fethiye are happy days but this was one of those unplanned, last minute decision, happy days. We somehow suspected we wouldn’t be leaving it too long before we were back at Calisto again. Now, let’s just say it’s not so sunny outside. Or you’re just feeling in a bit of a stay-at-home kind of mood. Pizza delivery is just great at times like that, isn’t it? The problem is, it can be hard work explaining what you want if you don’t speak Turkish. It can be downright expensive, too, if you’ve not got a local phone number. Well, Calisto Pizza have sorted all that out and it’s a great service. Take one of those red leaflets you can see in the photo and explain to the staff where you live. Your address is found online and then you are given your own individual code number (ours is on a Calisto fridge magnet). When the times comes where you just fancy a pizza, choose from your menu and then text the name of the pizza and your code number to the number on the menu. You get a message back saying ‘received’ and around 30 minutes later, there’s that welcome knock at the door and a man with a big flat box! Pay him, eat your Calisto pizza. Happy days. A naughty but nice treat! Calisto is along Çalış Beach, just before you get to Bahane, close to Ceren Hotel. There is a full bar serving beers, cocktails, smoothies and other drinks. As well as a whole range of small, medium and large pizzas, Calisto also serve pastas, wraps and salads along with a few other snacks. A medium pizza is big enough for two people. A takeaway and delivery service is also available. If you want to spend the day on Çalış Beach in summer, Calisto also prepare a range of ‘beach packs’ so that you don’t need to move from your sunbathing relaxation spot once you’re rooted in. If you don’t already do so, you can like Calisto on Facebook. For other ideas of where to feed and refresh yourself around the whole Fethiye area, don’t forget you can view our Fethiye Eating & Drinking page. If I find out that I’m several kilos heavier at the end of this winter I shall hold you partly responsible. I never eat pizza but having read this…..